DIY Wood Pallet Workshop! Your Choice: Wood DIY Class. Come create your own masterpiece. Take your painting home and show it off at the end of the event! 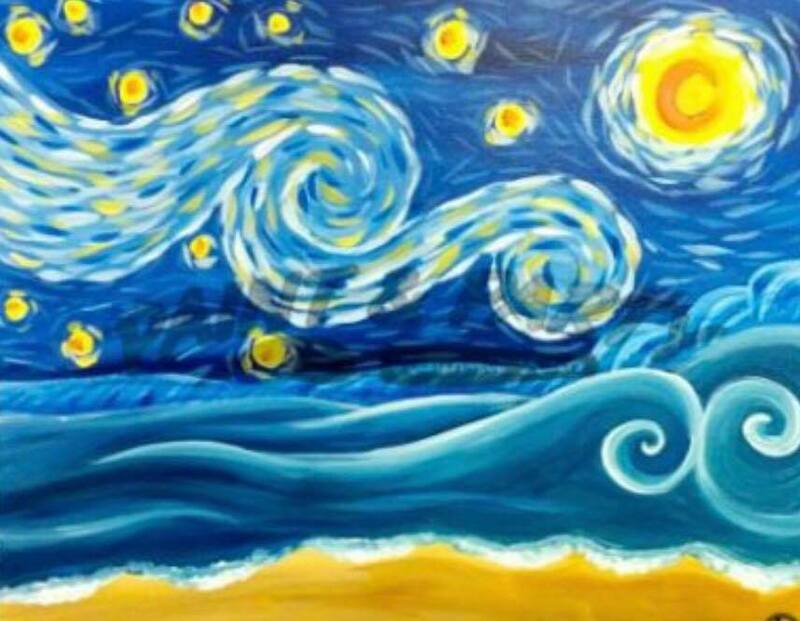 Starry Night Beach is a mixer favorite and it’s back this Thursday night at 7pm! (Saturday) 2:00 pm - 5:00 pm EST.